Where is the property market hottest in the current climate? The latest figures from the housing market suggest that the Midlands is currently the hottest area for property, with price rises outstripping even those seen in the traditional hotspots further south. Rightmove’s most recent monthly price index has revealed that the average asking price for a home in the East and West Midlands during March increased by 2.1%, more than London’s 1.4% and South East England’s 2% and well above the 1.3% average across the UK. This continues the trend of Midlands house prices increasing faster than anywhere else in the country both monthly and yearly. However, whilst the prices may be rising, it is still significantly cheaper to buy a house in the Midlands than London, the South East, South West and East of England. A house in the East Midlands now has an average asking price of £200,620, with the West Midlands coming in slightly higher at £212,798. Both of these figures are well below the average asking prices in the South East (£413,059) and East of England (£339,721). 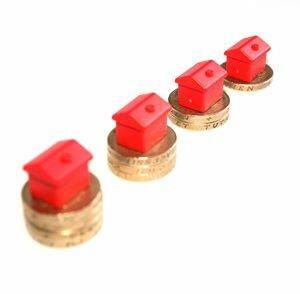 The UK average monthly rise of 1.3% seen in March was the same rate of inflation as that seen in the same period twelve months earlier when an impending tax crackdown meant that many investors were rushing to obtain buy-to-let properties to avoid additional charges. The rise this year means that those putting their homes up for sale added an average of £4,000 to the asking price, although there is no guarantee that their property will sell at that amount. It means that you’ll now pay £310,108 on average for a house in the UK. The continual increase in the cost of housing sees the continuation of the affordability crisis in the UK property market, with the latest figures from the Office for National Statistics (ONS) revealing that a typical property in England and Wales now costs 7.6 times more than the average earnings. This means that it is now less affordable to buy a home than it has been at any point in the last two decades. The ONS also reported that whilst average annual earnings have increased by 68% between 1997 and 2016, the average house price has skyrocketed by 259% in the same period.